On the 21st November, 25 excited adventurers set of on their first residential to Castleton! 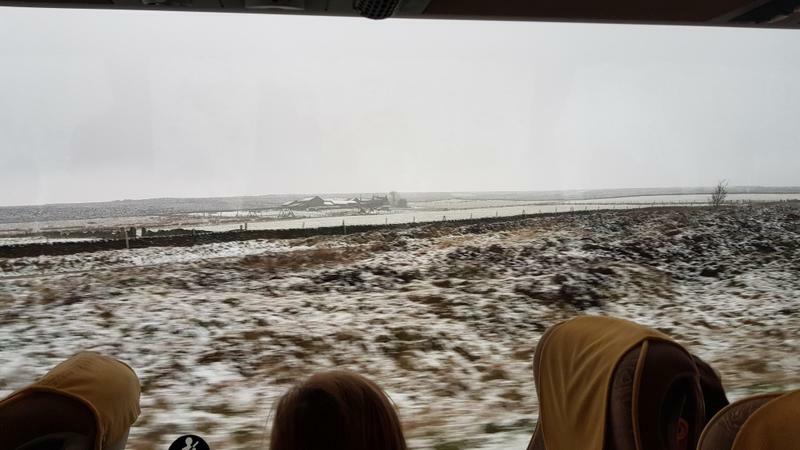 Despite some initial nerves, the journey got off to a great start and we were even lucky enough to see some snow covered mountain tops as we entered the Peak District! 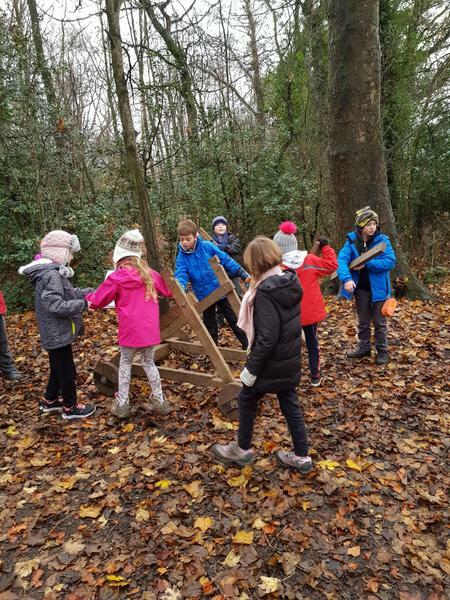 Following a quick lunch and bag drop, Year 4 dived straight into action with a Roman Battle and chance to build a Roman Siege Engine. 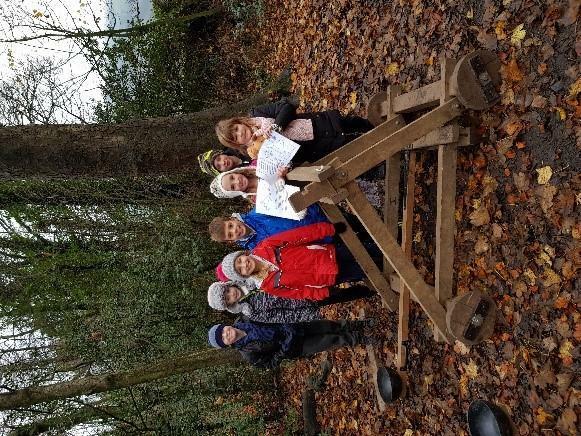 All of the children worked fantastically in their teams to successfully build their siege engines, despite the frosty temperatures and some cold fingers. 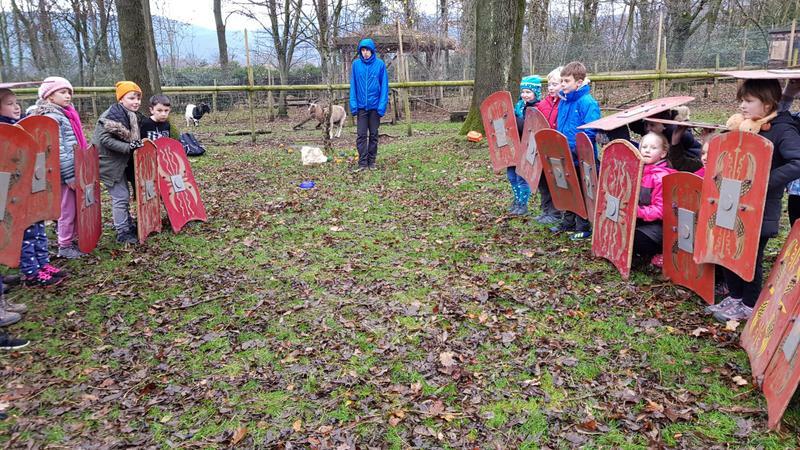 The fun part…getting to fire ‘boulders’ at the Celts in attempt to take down Queen Boudicca! Our first evening was topped off with a gem panning activity. We learnt all about different types of gems and rocks such as quartz, fool’s gold and Blue John. The children used the skills they were taught effectively and all were lucky enough to bring some small souvenirs home from their session. The following morning, we were all up bright and early for a three course breakfast; cereal, pastries, toast and a full English breakfast! We were also joined by Mr and Mrs Duffell. A challenging day lay ahead for us, a three mile walk to Treak Cliff Cavern. Along the way we stopped to hunt for fossils and our guide Molly taught us how to spot crinoids and ammonites. We also learnt the valley we stood in would have once been a lagoon. Our walk continued over many fields, lots of stiles, across a beck and up an extremely muddy, boggy hill! We eventually reached the Cavern, without a single complaint along the way! Following a short walk through a very tight entrance tunnel, we were inside. The view was breath-taking! 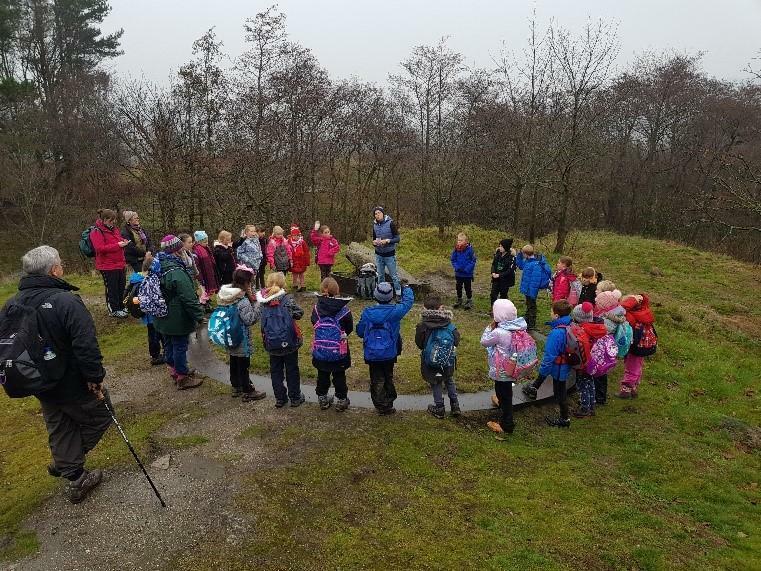 The children were amazed at some of the small crevices and holes which miners still venture down in today, along with column of Blue John worth over £1million. We continued our journey down into Aladdin’s Cave, aptly named because of its gold-like walls and into the Witches Cave. At one point the lights were turned off so that the children could experience the pitch-black darkness that the miners would once have experienced. However, they were all extremely brave and sensible and keen to find out more! Sadly, it was time to leave the cavern and venture back out into the light of day! Following a stop at the gift shop, we continued our adventure with a three mile walk back to the Youth Hostel. 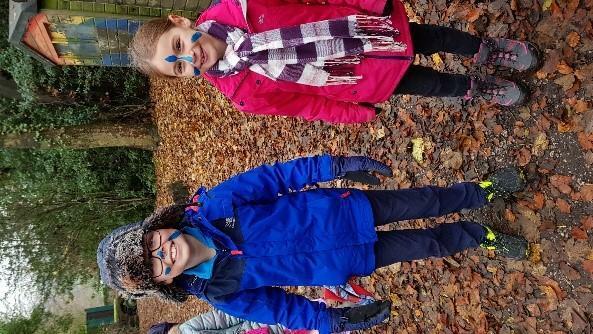 The children remained in good spirits, laughing and joking along the way. Our action-packed day was topped off with a candle-making session which the children thoroughly enjoyed followed by some hot chocolate and marshmallows and a much needed early night! Unfortunately it was our last day but the fun wasn’t over yet! 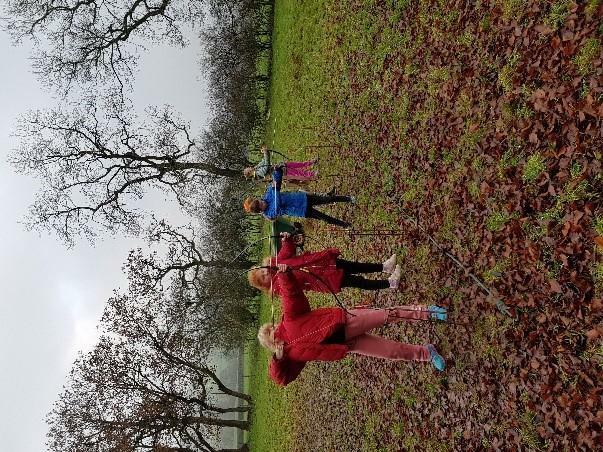 The children’s map-reading skills were tested during an orienteering ‘jumbilees’ challenge followed by an archery challenge to take down the Vikings. 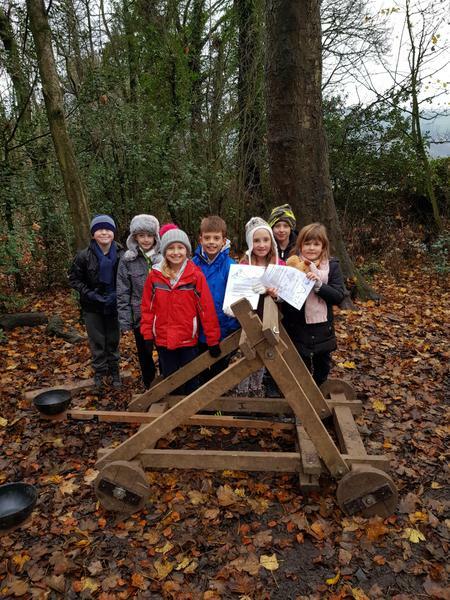 We can all agree that the children demonstrated some exceptional co-ordination and aiming skills and we have some budding young archers in Year 4! Following a quick lunch stop it was eventually time to leave. The children sadly and wearily packed their belongings and boarded the bus to return to home. After a quick sing along to the radio the noise died down and many children took the opportunity to have a much needed nap. We arrived back to Farndon with 25 very worn out but excited children ready to greet their grown-ups. A fantastic time was had by all. 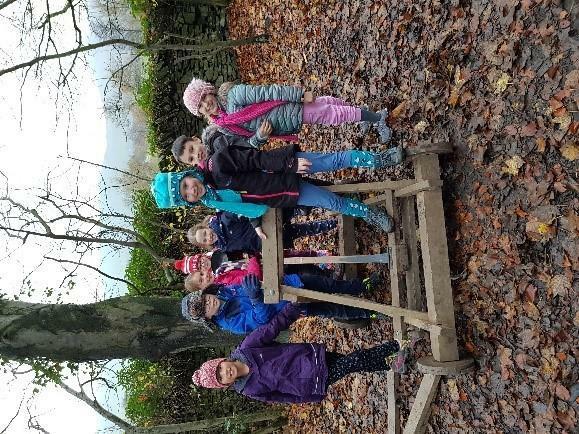 We can all agree that the behaviour of the children on residential was impeccable, from fabulous manners at meal times to following instructions from our various guides. Every child showed great independence and resilience and we are unbelievably proud of each and every one of them. Mrs Fraser, Miss Moyses and Mrs Papworth.